The "infiltration gallery" part of the project is currently going in -- and when it's finished, you won't be able to see it. 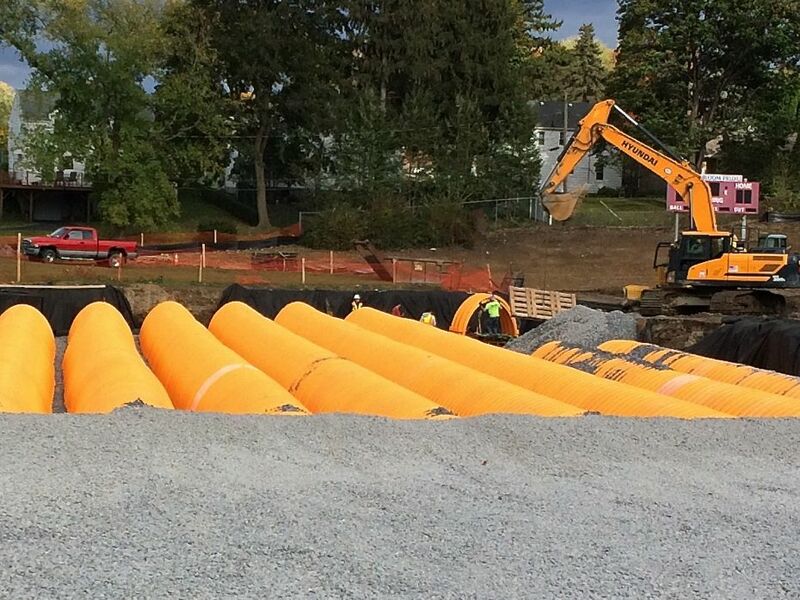 This component is basically a series of very large underground pipes that will sit under the outfield of the baseball diamond at Woodlawn Park. 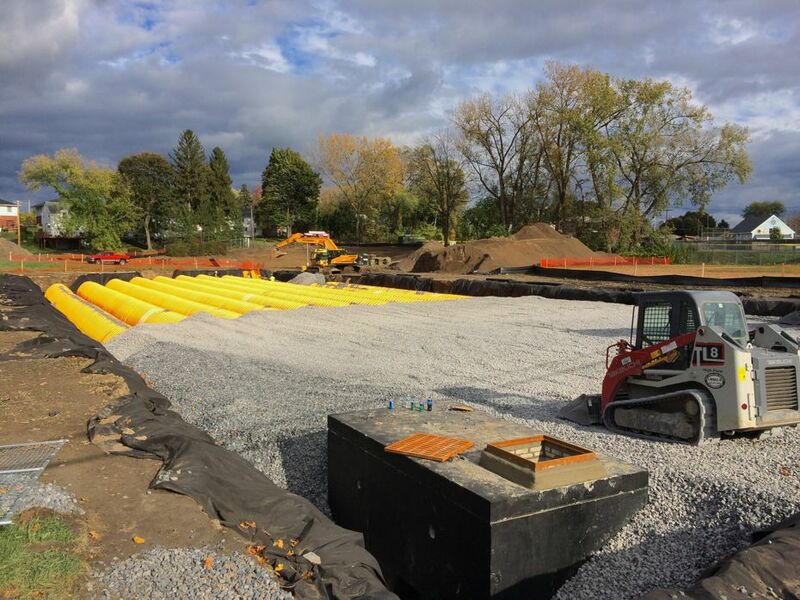 They'll be able to hold about 750,000 gallons of water that will either slowly seep into the ground water or be allowed to empty into the sewer at a later time when there's capacity available. 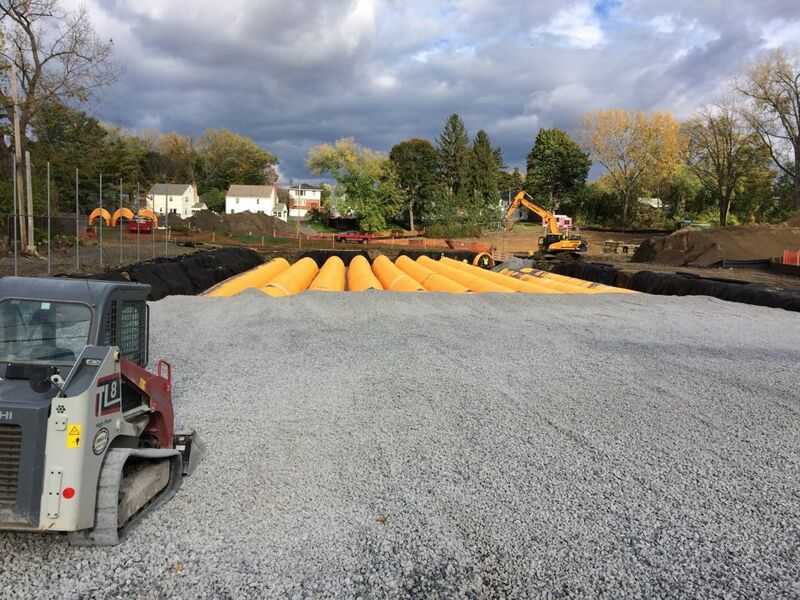 The water department will use underground sensors to monitor the capacity of the storm sewer and it'll be able to discharge the water based on the situation. The infiltration gallery will be paired with a new constructed wetland/pond area right next to it. 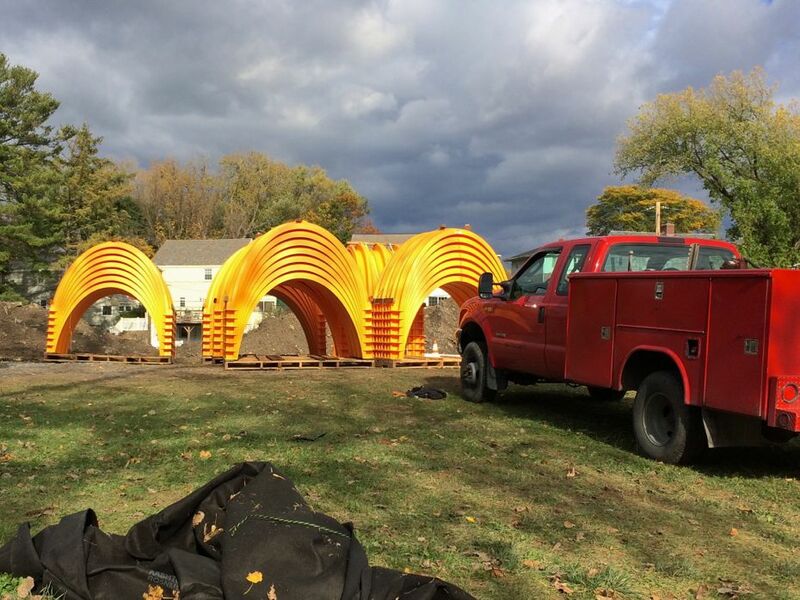 And the plan is that the $1.9 million project will allow the sewer that runs along the path of the old Beaver Kill/Creek to better handle large rainfall events. 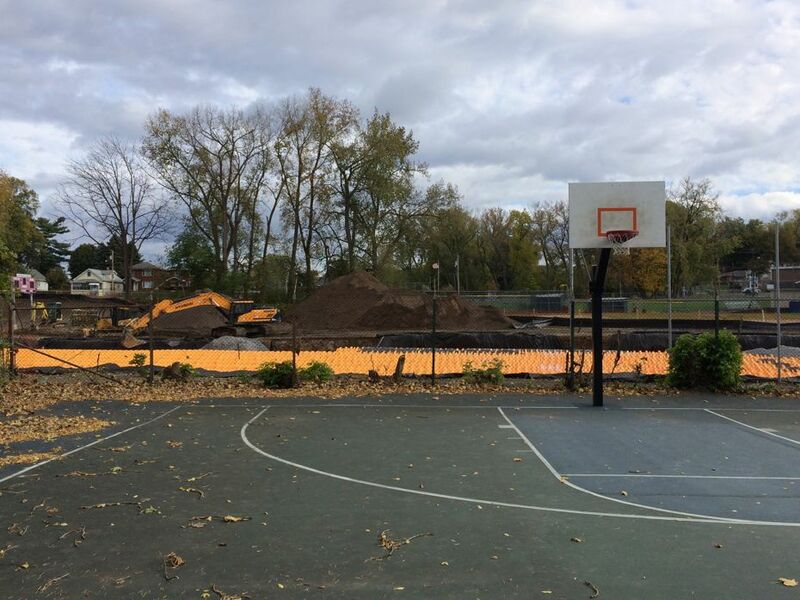 In recent years, areas along the sewer line -- such as Elberon Place, and the homes right near this park -- have been flooded with feet of water during very large storms because the storm water system hasn't been able to drain the water fast enough. I bike by this at least twice a week & I've been wondering what it is. Now I know. Thanks! Other cities are much more innovative than Albany but this is a good start. 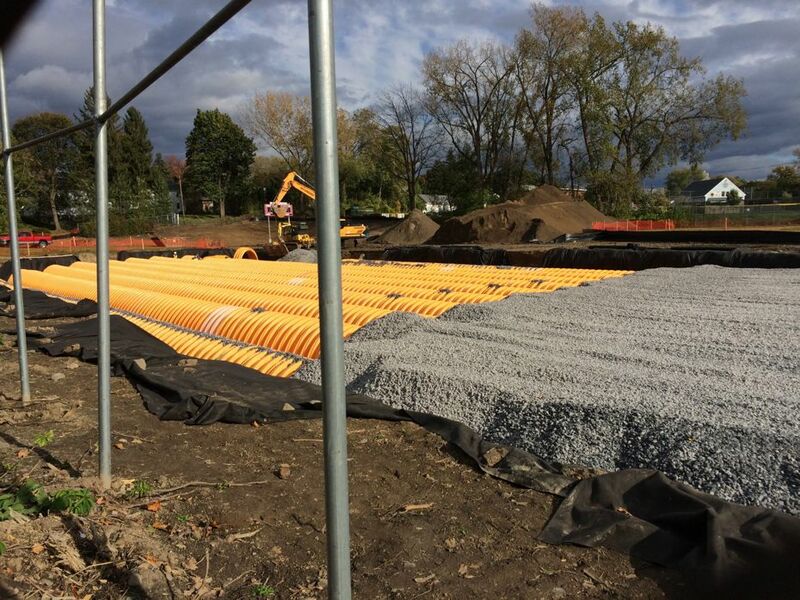 Small rain gardens placed around the city, replacing impermeable surfaces such as asphalt or concrete, will help with stormwater runoff and will make neighborhoods nicer in the bargain. The city should also incentivize the creation of permeable surfaces to replace paving. You don't have to rely on the city. If houses use a "rain barrel" to collect rain water for plants, gardens, and lawns, we could all cut down on the amount of stormwater runoff. Stan seems to know how to fix everything. Maybe Stand should run for public office? Ethan, you're right, up to a point. In some rainy cities, rain barrels are very common. The greywater that they collect can be used for all kinds of stuff. But I very rarely see them in Albany and it's not enough for our problems, which hit some neighborhoods really hard. What we need is some leadership so that folks know what rain barrels are and support having them....could even be a small tax incentive for having them. The Albany County Soil and Water Conservation District does offer low cost rain barrels for residential use. However, a tax incentive for their employment is a diminishing return - any tax incentive would be predicated on proper placement, operation, and use - this requires inspections and enforcement. That's costly to implement. Rain barrels only go so far. In a climate such as ours, their employment isn't essential for watering the lawn or garden. Consider the size of the average residential roof, typical storm, and amount of water is sheds - then consider most rain barrels would be inundated after only a handful of rain events in a given week. What does one do with that water after it's just rained? The barrels benefit is predicated on placement - a rain barrel is only an effective stormwater tool if employed in a manner to intercept run-off that would otherwise drain to an outfall or catchbasin. Even rainbarrels that do intercept rooftop runoff in the manner previously mentioned would only work effectively if maintained and frequently drained. Policies that address the 80/20 rule (the 20% if land uses that generate 80% of the stormwater run off in a given municipality) would be more effective. 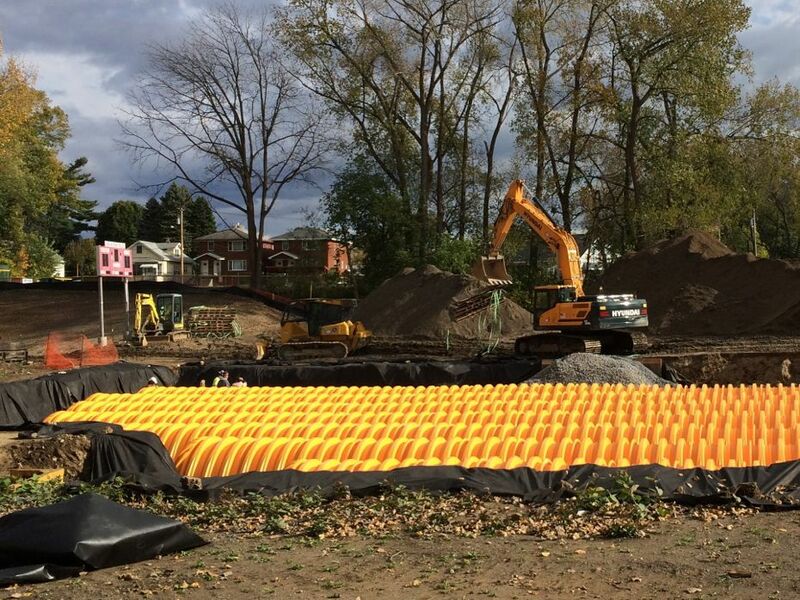 Where appropriate, and with proper maintenance, there are a range of Green Infrastructure practices, such as bioretention and porous pavement, that can abate local flooding and improve both point and non-point source water quality.